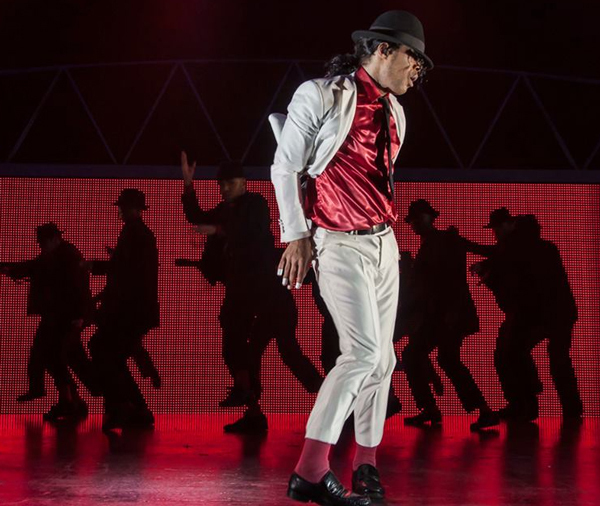 Thriller Live hit Sydney for a 3 week stint at The Lyric Theatre at The Star. An entire theatre show dedicated to Michael Jackson's stellar career from The Jackson 5 up till his record breaking stint as the King of Pop. Michael Jackson is one of those artists that pretty much everyone likes, so it's pretty easy to kick back and enjoy. This show is definitely in the tribute category, only focussing on his highs during his career with no mention of his personal struggles with his family, changing appearance or allegations against him. The show was in chronological order, which made logical sense but did make it take awhile to get going and didn't really impress me at the start. Maybe it could be an age thing, while The Jackson 5 did have great songs, let's face it it doesn't come anywhere close to his solo hits (aka the his prime) which were saved for the second act. However, the second act completely captivated me. That's when the magic of Michael Jackson was brought on with his signature moves especially the moonwalk being a favourite no matter how many times it graced the stage. All the hits were there... Black & White, Thriller, Beat It, Bad, They Don't Care About Us, Don't Stop 'Til You Get Enough.... Which just remind you of the extensive catalogue of hits that have well and truly stood the test of time. Now while I do enjoy the music of Michael Jackson, I must admit a major drawcard for me seeing the show is all thanks to Joe King aka Mig Ayesa who is the star of Thriller Live. 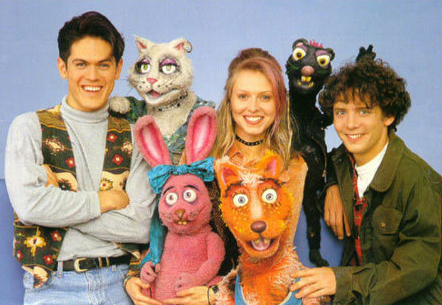 Back in the day, my favourite children's television show was The Ferals, that starred feral animals portrayed by puppets (my favourite was Mixxy, a muddled up, mixed up Bunny). Believe me, it was riveting television. So the chance to see my childhood icon 20 years later was pretty awesome, it's like seeing Elmo for real. FYI just like Elmo, Mig hasn't aged at all. I was biasly impressed with his performance which naturally suited the ballads and songs with rock elements (eg. Dirty Diana). Now onto Prinnie Stevens... she completely wowed me. She has a phenomenal voice which is convenient considering she was a finalist on The Voice. She is amazing, she can really sing live, and she definitely owned her part. In total there were 6 key stars of the show who shared the duties of paying tribute to Michael. Each had their own unique strengths. It's a very substantial show that barely left a stone unturned hit wise.I was a bit surprised/disappointed that some key songs weren't featured especially the more 'recent' You Rock My World which was his highly anticipated comeback after 7 years of no new material. Overall, it's a great show but a key must is that you appreciate the music of Michael Jackson. Plus, they get bonus points for a fantastic live band and the epic guitar solo during Beat It. You can find out more about Thriller Live here. I attended Thriller Live as a media guest. Images are courtesy of Thriller Live & the ABC.